Slice the apples lengthwise. 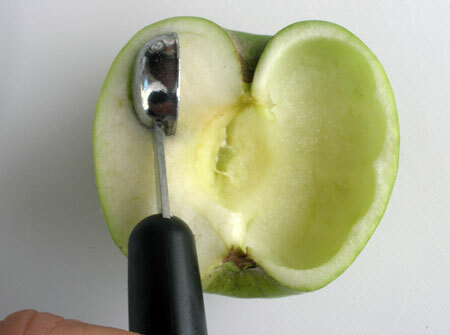 Using a melon baller, scoop out the flesh of the apples leaving some meat on the skin of the apples. Place all the apple halves on a muffin pan to keep them upright. Pour butterscotch schnapps into a bowl or container. Sprinkle the gelatin over the butterscotch. Let it stand for about one minute. 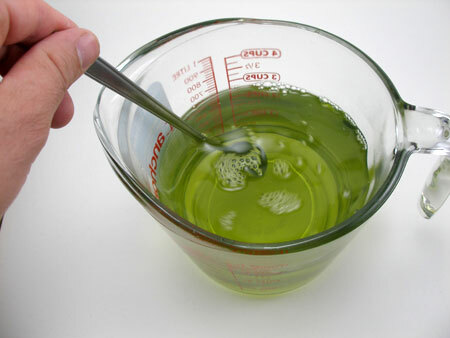 Boil 1 cup of water and pour it into the gelatin mixture. Stir well until the gelatin dissolves completely. Add the Sour Apple Pucker and stir. 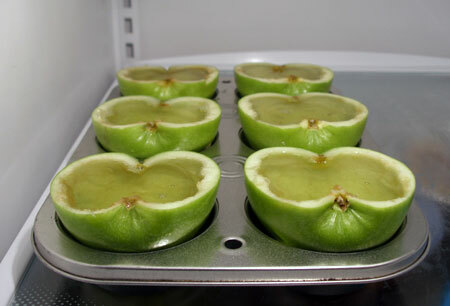 Fill the apple halves all the way to the top with the caramel apple gelatin and place the muffin pan in the refrigerator. Refrigerate for at least four hours or until firm. 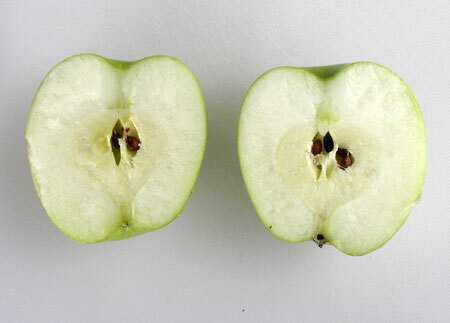 Remove the apple halves from the refrigerator. 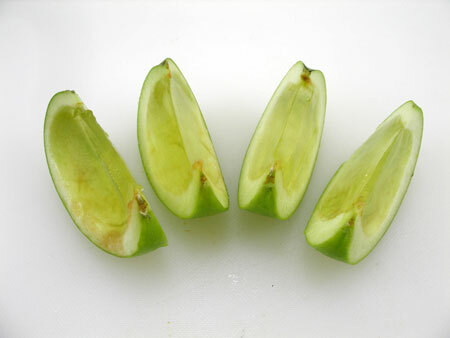 Using a sharp warm knife, slice the apple halves into wedges. 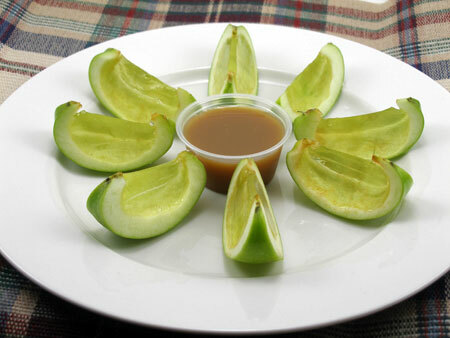 Place the caramel apple jello shots on a plate and place a 2 oz. cup of caramel sauce in the middle.